Martha Stewart dubbed these 'fudgy rocky road bars', but it's really more of a marriage between rocky road and s'mores. 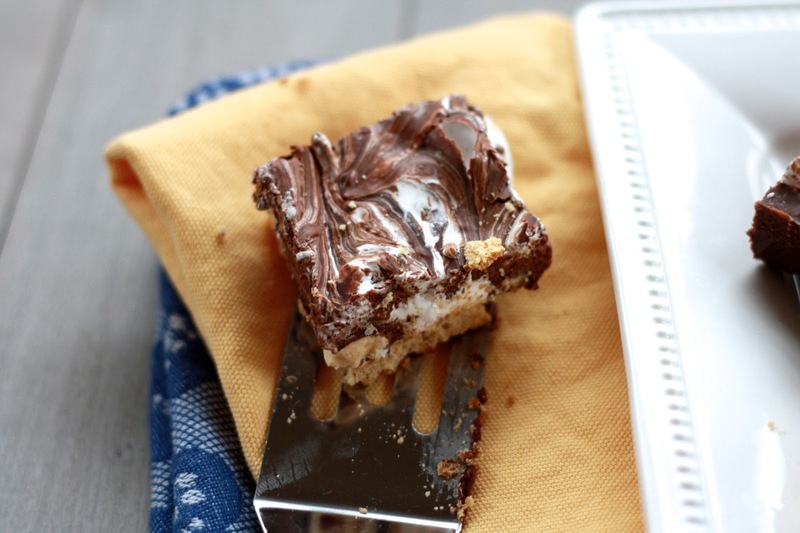 Take away the nuts and you've got yourself s'mores bars. 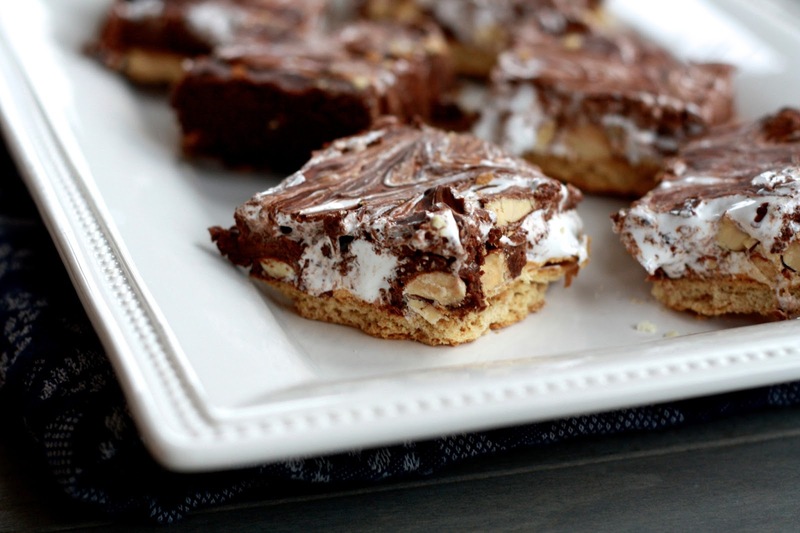 Take away the graham crackers and you've got yourself rocky road. I recommend you keep 'em both in there...because the combination was a delight! 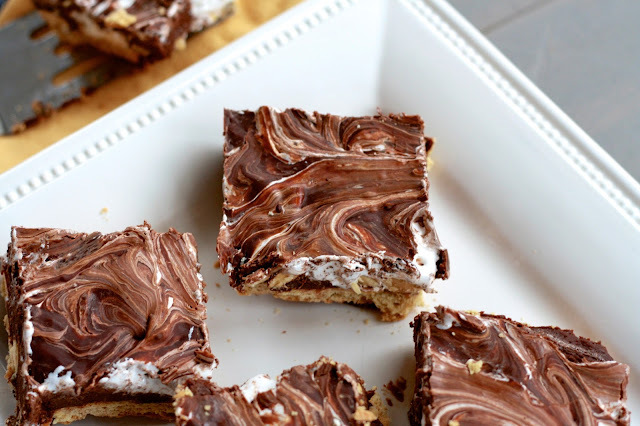 Aside from a quick toasting of the graham crackers, these are a no bake dessert. They keep well in the fridge and can be made several days in advance. I served these at our weekly community group, but had too many on my hands after the fact and they were way too dangerous to keep in our fridge. Thankfully I was able to pawn them off on my sister Renatta which made her quite popular in the dorms, from what I hear! 1. Preheat oven to 375F. Line the bottom of a 9 x 13 inch baking dish with graham crackers, breaking if necessary. Bake until crackers are lightly toasted, about 8 minutes. 2. Sprinkle almonds on top of crackers and top with dollops of marshmallow creme. 3. In a heatproof bowl set over a pan of simmering water, combine chocolate chips and sweetened condensed milk. Stir occasionally, until chocolate is melted and smooth. Pour chocolate over the pan and use a knife to swirl together marshmallow and chocolate. Cover and refrigerate until set, at least 2 hours. Cut into squares and serve.